It’s a bird. It’s a plane. It’s The Blunt Bean Counter, draped in calculator tape and ready to help you conquer your challenges and fears regarding income tax and money. 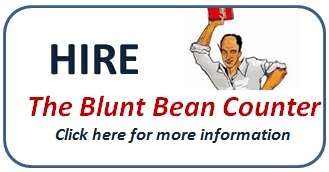 I’m pleased to introduce The Blunt Bean Counter’s new brand which is a bit more whimsical than the staid blogger banner and better fits my desire to provide serious financial insight with a touch of humour and sarcasm. 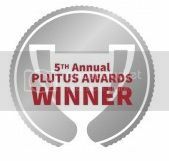 I would like to thank Leah Vlemmiks for her graphics, Robert Campbell for implementing the changes and Debbie Andrews, my firm’s (Cunningham LLP) marketing consultant for coordinating everyone. This year I am going to end my confessions series a week early. I am doing this for two reasons. Firstly, to be honest, I have not found much to write about that I have not already discussed in prior income tax seasons (other than the T1135 fiasco). Secondly, I am a little burnt out from tax season (getting a mild case of food poisoning and having your back act up never helps). So I will see you again in a couple weeks, hopefully in a better state of mind, but until then, I have a couple tips for filing your tax returns this year and some tax planning tips you should consider implementing sooner rather than later. 1. File your income tax return on time (May 5th this year) to avoid the 5% late filing penalty (in addition to the 5% penalty, there is an additional penalty of 1% a month thereafter for each month you are late - that could total 17% in total). 2. If you have to file the T1135 Foreign Reporting Form, file it as soon as it is completed. With the July 31st deadline extension, you may either complete the form and not rush to file, or put it off. 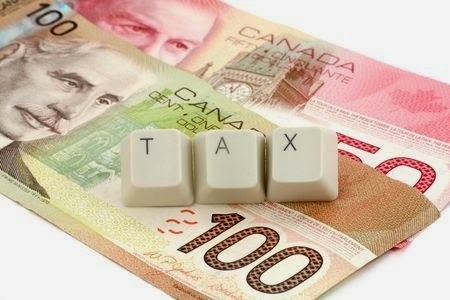 However, where the form is not filed as required, the CRA can levy a penalty equal to $25 a day to a maximum of $2,500. While taxes are on your mind, you may want to consider some tax planning you can undertake now or plan to undertake in 2014. 1. 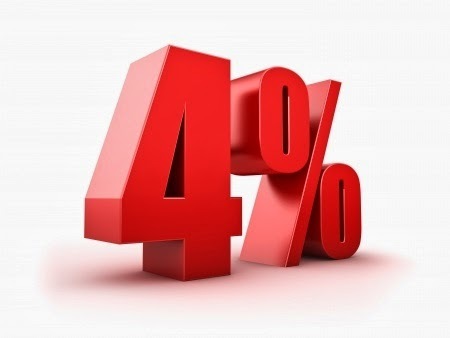 1% Prescribed Interest Rate Loan - A Great Income Splitting Opportunity - A good overview. 2. Paying for Private School With Tax-Free Money - A discussion about using a prescribed loan to fund your child's education. You need to read this one in conjunction with the third post. 3. Prescribed Rate Loans Using a Family Trust - Again, you need some large coin to do this, probably at minimum a few hundred thousand in non-registered accounts, but very effective if you have the money. If you or your spouse have any unused capital losses after preparing your 2013 tax returns, and the other spouse has unrealized capital gains, you may want to consider transferring the capital losses to the spouse who has the unrealized gains. If you are in this situation, you should start the planning for this now. As this type of planning is complicated, you should speak to your accountant (or engage an accountant for a short consultation) to ensure you do this properly. I discussed this type of planning in this capital gains post, go to the 3rd paragraph from the bottom (Creating Capital Losses-Transferring Losses to a Spouse Who Has Gains). If you were scrambling this March and April to put together either your employment expenses, rental income or self-employment income, then make your life easier and either start using Quicken or create an excel spreadsheet to track these costs. If you update your expenses every month, not only will you reduce your stress next tax season, but you will have more accurate records and most likely capture more expenses. In addition, get in the habit of downloading any donation receipts immediately. This will ensure you do not miss any donation credits next year and save you scrambling to recall which donations you made. 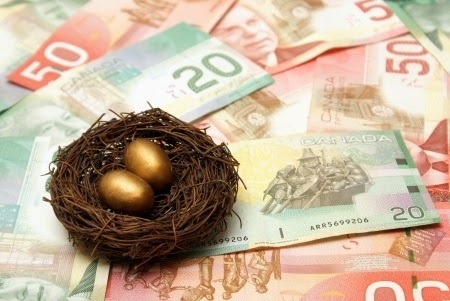 Don't wait to next December to make your RESP or TFSA contributions or February, 2015 in the case of RRSPs. Where possible, make these contributions throughout the year. It will ease your cash flow and these accounts will have additional time to grow tax-free. That's it for now, I've got a bunch of tax returns to get out. Traditionally, I have the largest intake of personal income tax returns the second week of April and this year was no different. This influx in returns is because clients feel they have received all their T-slips and they can finally provide me a complete set of income tax forms and related materials. Notwithstanding that expectation, clients are still receiving T5013 slips and the dreaded amended T3 slip. 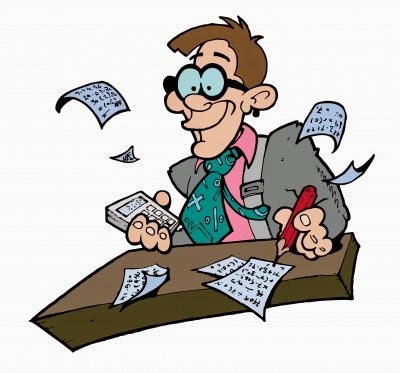 I am now telling clients that I cannot keep fixing returns for delinquent slips and though no fault of theirs, I am no longer re-running returns to account for a late or amended T-slip (I will just file a T1 adjustment in May). The T1135 foreign reporting form is still wreaking havoc, but I will not whine again about this ridiculous form. This week I will briefly discuss how clients often neglect to tell us or provide information on self-employment business start-up expenses and capital losses and why it is in their best interests to do so. I frequently find out a client has started a new business during the year, yet they have not provided me any of their expenses. The clients' thought process is; since they have had little or no income, the expenses are not deductible (no reasonable expectation of profit), or they think they will hold the expenses to claim next year. As you may or may not know, the "old school" reasonable expectation of profit (“REOP”) doctrine was dropped by the CRA a few years ago after they lost several cases. Essentially if an activity is commercial in nature and does not have a personal element, there is no REOP test and the expenses are deductible. Consequently, any start-up costs should be deducted in the first year (capital items must be depreciated) even if you have no self-employment income, as these expenses can offset your employment and other income. I have also found that clients who have capital losses sometimes do not provide the loss information, thinking it is useless if they don’t have capital gains in that year or that they will provide this information in a subsequent year when they have capital gains. 2. 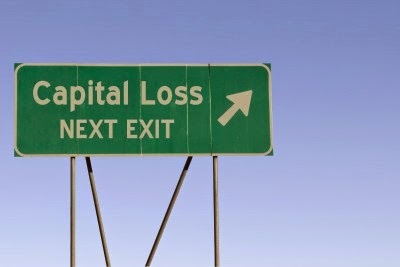 Capital losses can be carried forward indefinitely to be used against capital gains. Thus, there is no downside to start the clock ticking and you ensure the capital losses will not be missed or forgotten in a future year. I have noticed that some T3s report management fees in the footnote box on the right hand side of the T3. It is easy to miss, so be careful to check that box, as these fees are deductible. This week I finally got rolling and I reviewed several income tax returns. A few issues arose from these reviews which I discuss today. institutions fail to adjust their realized capital gain/loss reports for flow-through shares and how this can result in significantly understated capital gains. 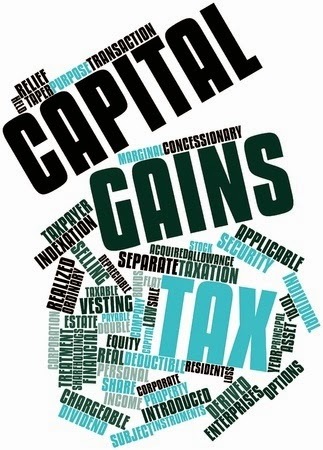 The final issue is the confusion in reporting capital gains from the sale of your mutual fund. Way down at the bottom of your T4, in box 85, you may find a number. That number is the amount of premiums you paid for your private health service plan. This payment qualifies as a medical expense on line 330 of your return and is very easy to miss. According to this blog, Canadian MoneySaver is the person responsible for box 85. In my recent post on The Dynamics of the Investment Advisor/Accountant Relationship, I note that one way for Investment Advisors ("IAs") to lose the accountant as an advocate is to not assist in sorting out their clients flow-through tax shelter information. As I have discussed in the past, the issue is more than an advisory issue, it is a financial institution reporting issue. Very quickly, if you purchased a flow-through share for $10,000, the Adjusted Cost Base ("ACB") is ground down to zero almost immediately by the initial resource exploration and development expenses you claim. By the end of year 1, your ACB is often nil (the ACB may increase in future years because of income allocations, however, let's assume it stays at zero). In year three or so when the flow-through is converted into a mutual fund, the cost base is nil, even though you originally paid $10,000. Say you sell the mutual fund immediately after converting your flow-through for $4,500. For tax purposes, you have a capital gain of $4,500 since you have a nil cost base. Yet, most financial institutions report the disposition as a capital loss of $5,500 (the $10,000 initial cost less $4,500 proceeds). I have been told that from a liability perspective, the financial institutions do not want to get into making tax cost base determinations (although, I have seen some of the better IAs and certain investment counsel firms adjust the ACB to the proper amount). I can understand this position; but, I cannot understand why the financial institutions or the IAs do not at least highlight this issue in some way when they print out the realized gain/loss schedule for their clients. To date, I have had three capital gains reports provided by IAs that were materially wrong because they had the incorrect ACB for flow-through shares. For two of the clients, their actual capital gain was understated by significantly more than $100,000. In summation, these transactions need to be highlighted in some way on capital gain/loss reports. Do you own mutual funds? If so, you may have to report two capital gains this year. The first capital gain(s) you will have to report will be the capital gain(s) reported on your T3 slip(s) for any mutual funds you still hold at the end of 2013. In addition, if you sold any of your mutual funds in 2013, a second gain, being the capital gain on the disposition of the mutual fund sold must be reported. I am discussing this issue for two reasons. The first, a client called last week to advise me that after reviewing the capital gains reported on their annual mutual fund statement for 2013, they realized they had missed this information in 2012; so the topic is on the top of my mind. The second reason is preventive. If you have mutual funds, you probably just received your T3 slip in the last couple days, so you may have not yet filed your return. Thus, you have time to review your annual mutual fund statement to check whether you need to report the sale of any funds in 2013. So let me explain the issue in greater detail. Assume that in 2012 you purchased 1000 units of the BBC Spec Stock Mutual Fund for $7,000 and also purchased 2000 units of the BBC Bond Fund for $8,000. Let’s also assume in the same year you re-invest your distributions to purchase additional units of the BBC funds. So last year you would have received a T3 slip (usually one T3 slip with a supplementary page breaking down the total on a fund by fund basis) from the BBC Mutual Fund reporting interest, dividends and capital gains earned in the year. This income is essentially the distributions you re-invested in the BBC fund. Many people assume any capital gains they realized on the sale of their mutual fund units are also reflected on these T3’s, however, the T3 slip just reports gains (and other income) the fund itself has earned and distributed in the year, not your proceeds of selling the actual fund. For example, if in 2012 the BBC Spec Stock Fund owns shares of Rocky Raccoon Mines and during the year the fund sold these shares for a $400,000 gain, your T3 slip for 2012 would have reported your proportionate share of the Rocky Raccoon gain, say $400 if you owned .001% of the fund. This $400 distribution is re-invested in additional Spec Stock BBC units and your adjusted cost base is now $7,400 as of January 1, 2013. If you sold the Spec fund in 2013 for $8,000, the $600 ($8,000-$7,400) gain will not be reported on a 2013 T3 slip, even though you will receive one for the BBC bond fund you still own. This gain must be reported by you on Schedule 3 of your tax return. It is very easy to miss the actual sale of your mutual fund units, since this information is often embedded in your annual mutual fund summary. If you own mutual funds and sell a fund during the year, ensure you make a note to yourself to look for the capital gain information on the annual yearly summary and report that gain on your tax return. I often receive insightful and enlightening comments from my readers. I received one such comment in respect of Part 6 of my series on “How Much Money do I Need to Retire? Heck if I Know or Anyone Else Does!". When you read the comment (reproduced below), you will note the thought and detail provided. In the last paragraph of the comment, the reader discusses a retirement spreadsheet he created and he suggests that “there ought to be one in the public domain”. I thought to myself, a reader who appeared so detailed and thorough, must have a pretty good spreadsheet, and thus, I asked him if he would be willing to share his work with others in the public domain. 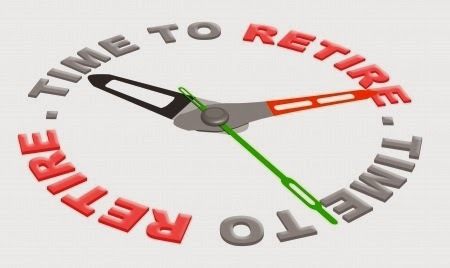 The reader has agreed to share his retirement spreadsheet so others may benefit from it. I am providing a link at the bottom of this post to his spreadsheet. Please keep in mind that I have only played with the spreadsheet and have not rigorously tested it and any use of the spreadsheet is undertaken at your own risk. My registered accounts were fairly large, so I was careful to calculate each year the minimum withdrawal and the resulting income tax. In fact, one main reason I created this spreadsheet was so that I could play around with registered account withdrawals before minimum withdrawals kick in, to see which strategy would work best. I did not factor in OAS or CPP (there is always that sticky OAS clawback, and even the Service Canada website cannot give you an accurate CPP amount in a future year when you actually start drawing on it). And I did not factor in my house. Bloggers note: The reader provides for OAS and CPP in his "other income" column. The expense number I used to start was simply my previous year’s actual expense. In the model, I just ran with this expense, adjusted for inflation. Starting from age 50, it turned out that my withdrawal rate was 3% (excluding income tax), and the money ran out after 45 years. That was how I concluded I could retire. - My actual income tax has been lower than calculated, probably because of dividends and unrealized capital gains in my unregistered accounts. - My actual expenses (excluding taxes) had fluctuated from year to year, but over 10 years, the actual total expenses are 4% less than the projected total. As a result, I am ahead of the model I that ran 10 years ago. Every year I update the spreadsheet with actual numbers, so that I can compare where things differ, and also see how the projections change. (I don’t bother updating the tax brackets or the expense projections.) Currently, the projections show that there will be quite a bit of money left after year 47. Just for curiosity, I plug in a hypothetical withdrawal rate of 4% at age 65 into the spreadsheet, and let it run. Money will run out at age 95. So a 4% withdrawal rate excluding income tax is probably OK but I would be cautious of it. On the other hand, I did not include OAS and CPP. Also, my situation is a two-income family. This spreadsheet has been one of my most important financial management tools in the past 10 years. It is not that hard to create a spreadsheet like this where one can fill in one’s numbers and assumptions and see the projections; there ought to be one in the public domain. Here is the link to the Retirement Spreadsheet (Note: The screen will look haphazard, just go to the top left corner, click file and then click download). My reader has provided instructions on page one. I thank this reader for his selflessness in providing the spreadsheet to others. The above spreadsheet is for informational purposes only. Both I and the creator of the spreadsheet make no representations and warranties as to its accuracy, completeness or use and you use the spreadsheet at your own risk.